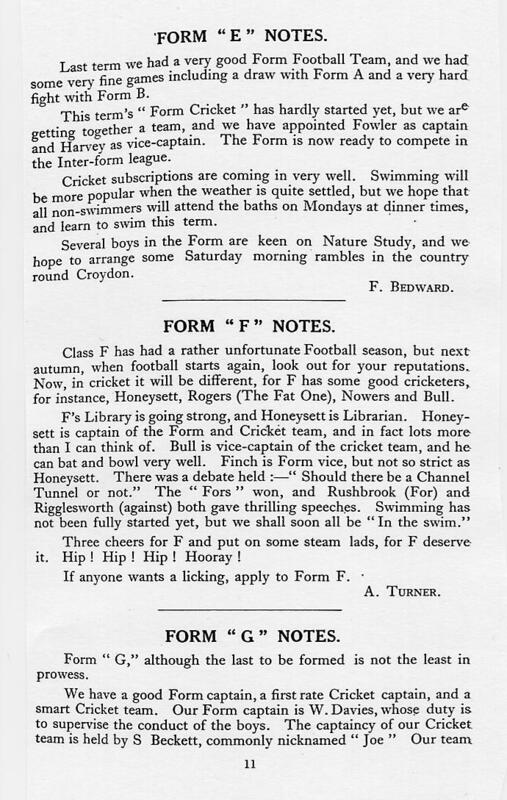 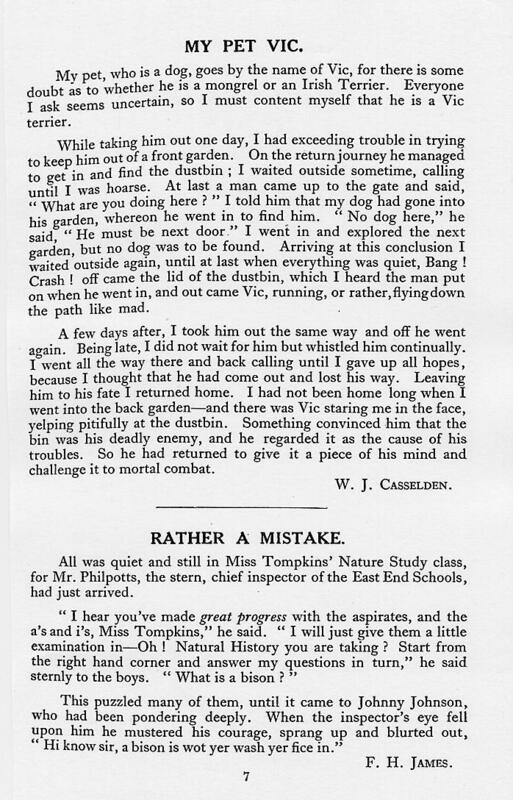 Here is a copy of the July 1920 school magazine, which results from a visit in August 2003 by Paul Graham (JRGS 1959-66) and Nick Goy (JRGS 1963-70) to the Local Studies Library and Croydon Archives. 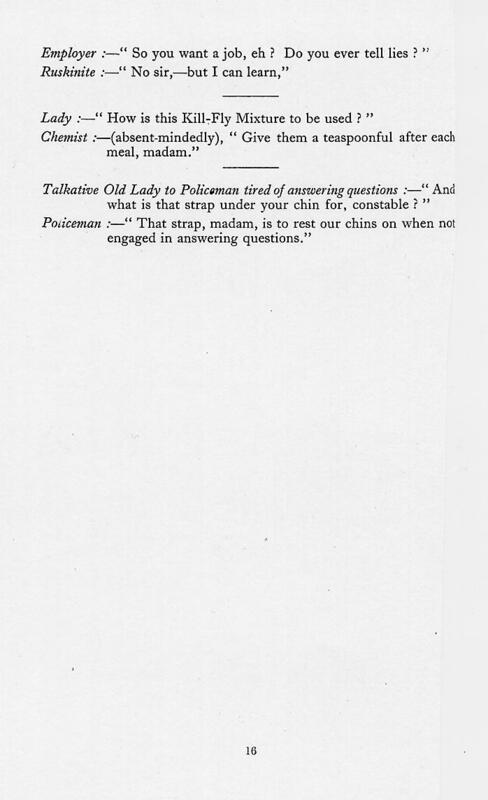 Each of the images are offered as individual JPEG files and here as a continuous PDF file. 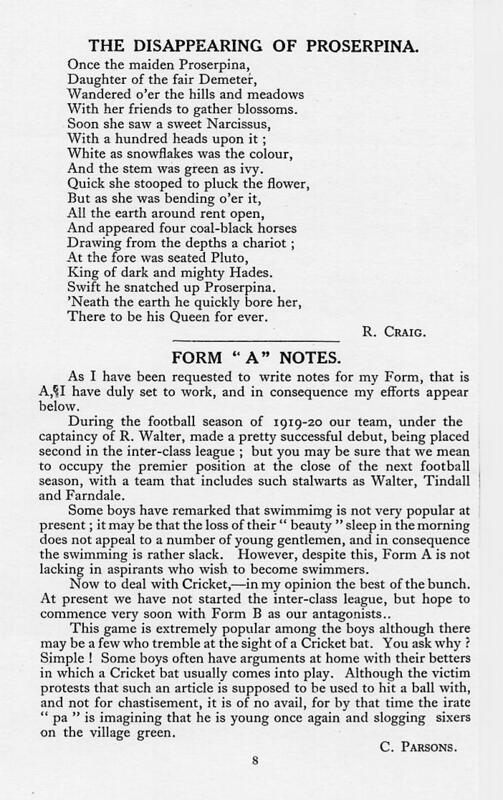 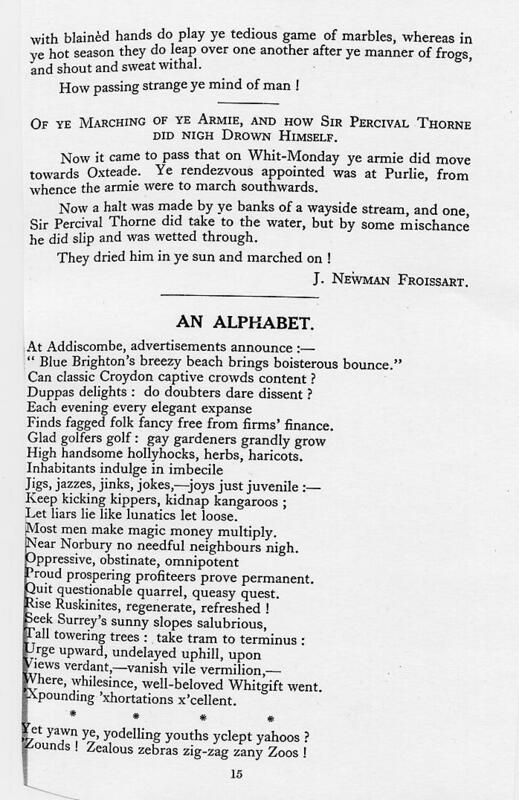 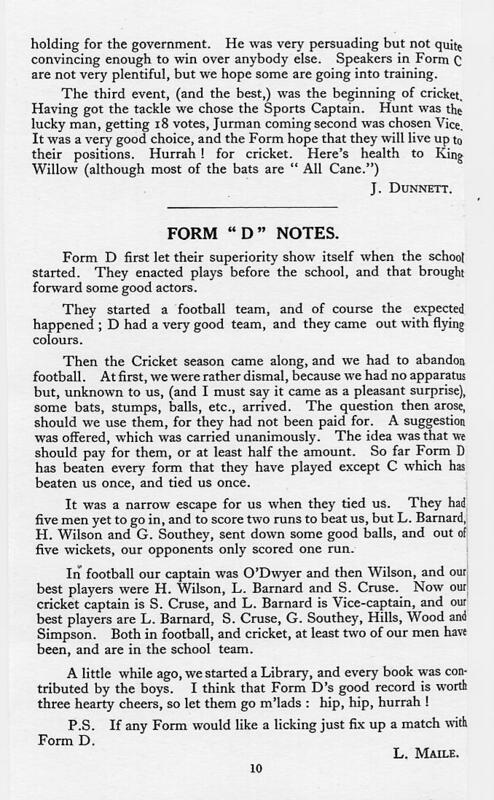 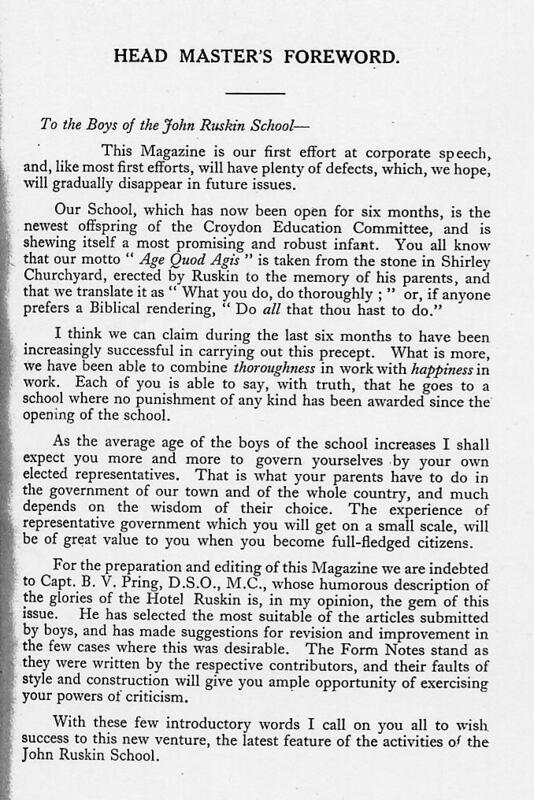 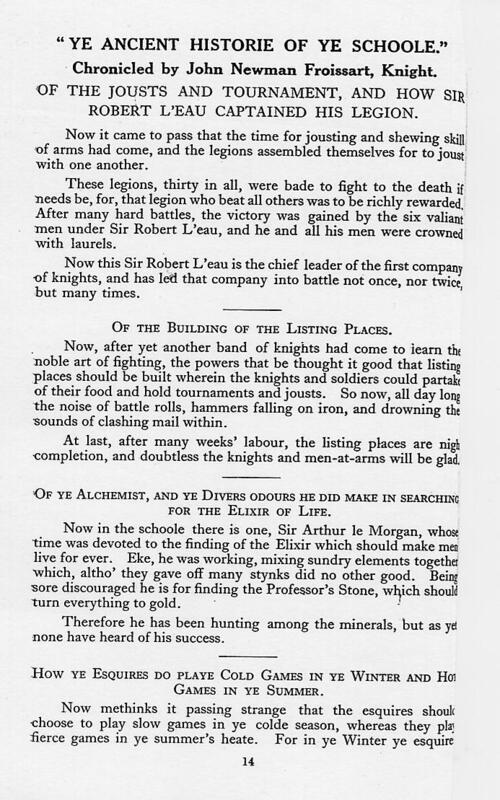 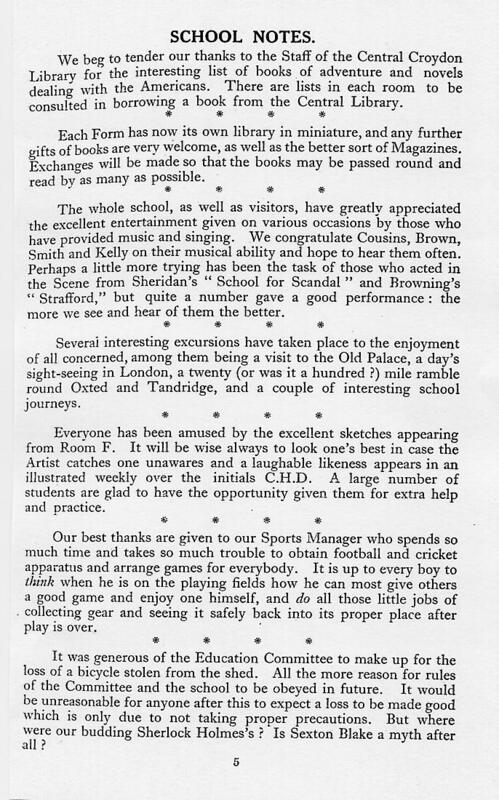 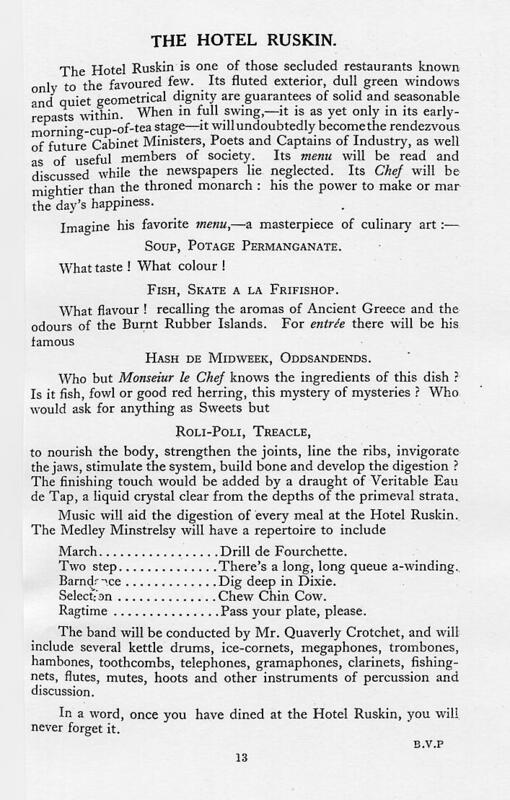 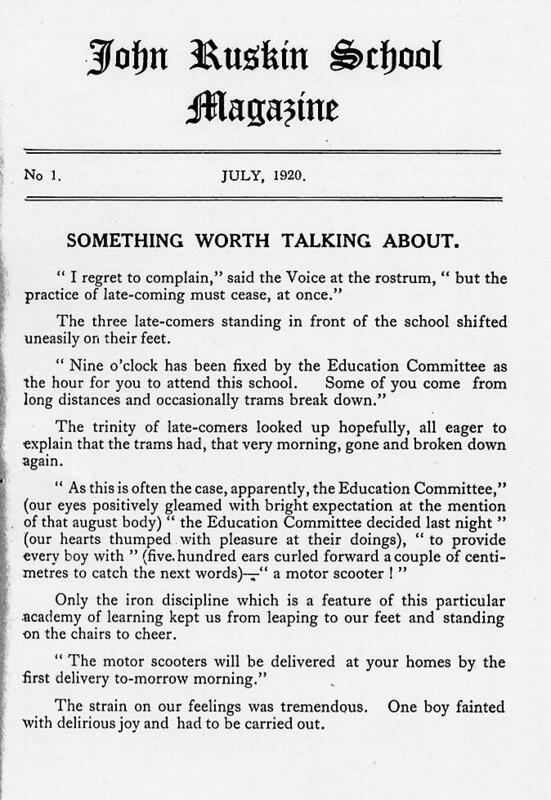 Paul Graham writes: Here we have the very first school magazine. 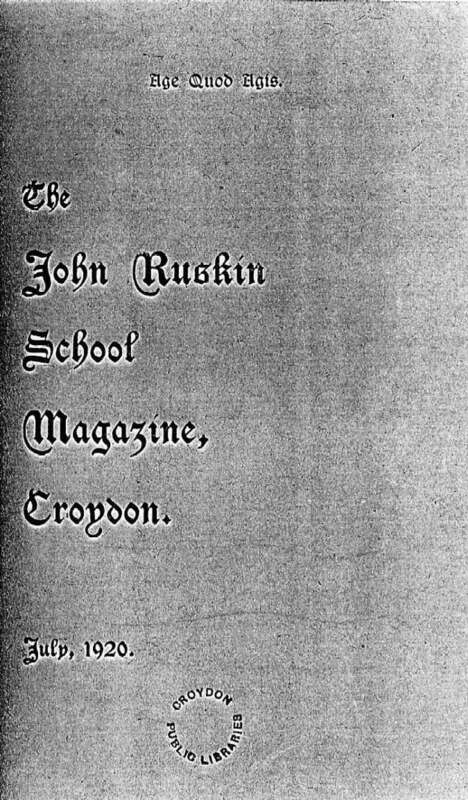 Because this edition was bound with others, sometimes the text near the spine is distorted, but I think it is all readable. 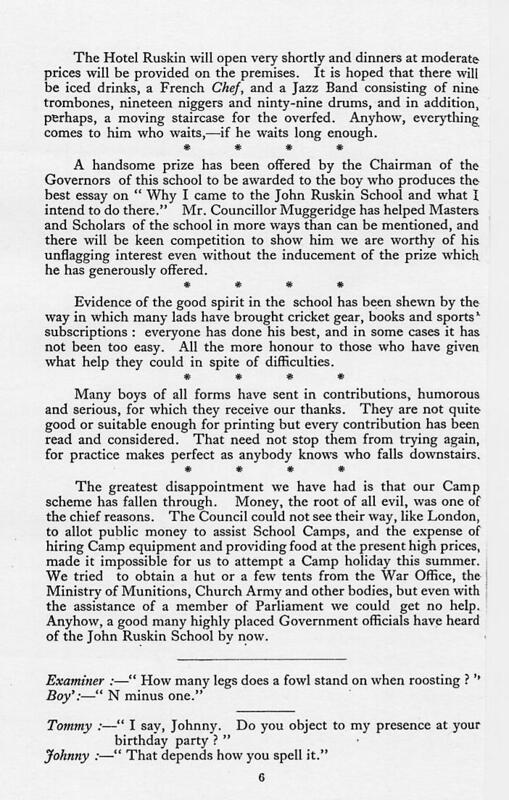 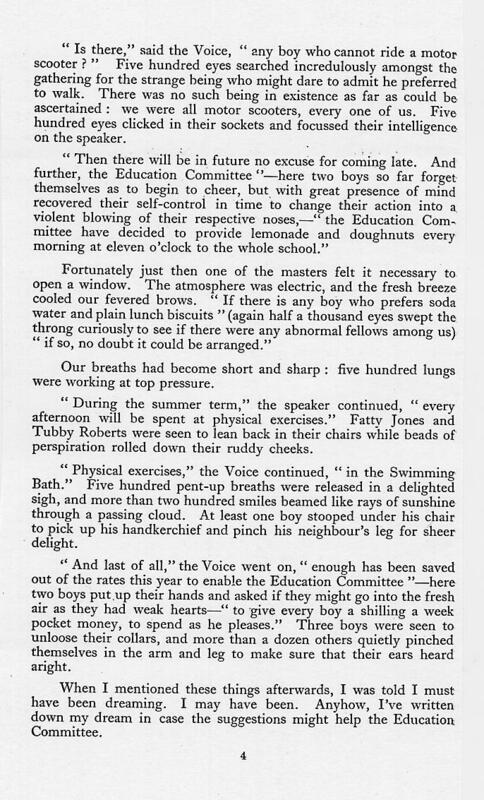 The most interesting aspects - from a viewpoint 80+ years on - are the school motto information on page 2, the mention of Councilor Muggeridge (Malcolm's father) on page 6, and the humorous article on school dinners on page 13. 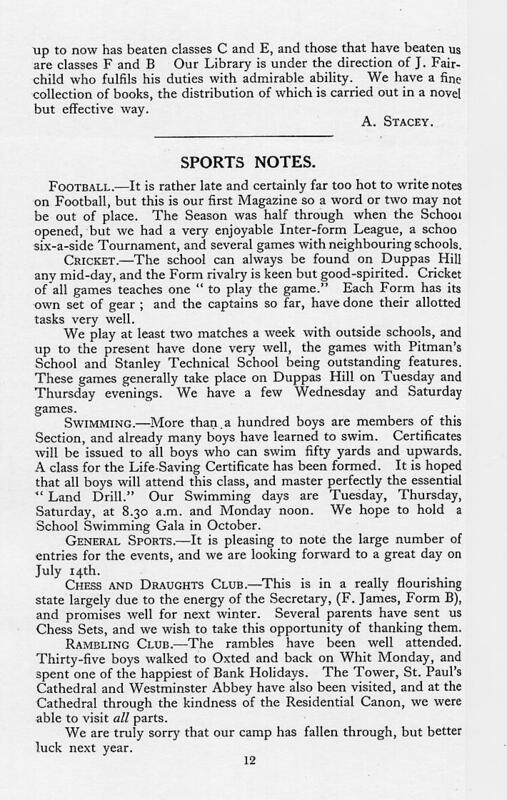 I suppose it is just conceivable that pupils from 1920 might just be still alive, though now in their Nineties. 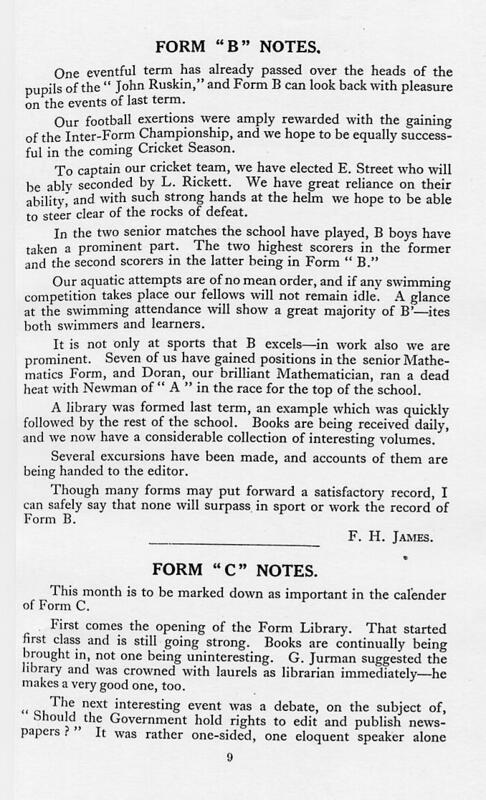 Please send any messages and memorabilia to webmaster.